At present the airline employs female members for various jobs in the cabin. Mumbai: Tata-SIA-run Vistara, which plans to spread its wings to the international skies from the next year, will soon have a mix of female and male cabin crew on its flights. At present the airline employs female members for various jobs in the cabin. But in a policy shift, it has decided to hire male crew members too, an airline official said. As much as 20-25 per cent of the cabin crew will be male members, the official said. "As an equal-opportunity employer, it has always been part of our plans to have mixed cabin crew," he told PTI. Vistara currently employs around 1,800 people to carry out its pan-India flight operations from across 21 domestic airports. Of this, around 500 are cabin crew. Besides Vistara, budget carrier IndiGo is the only other domestic carrier which recruits only female members for cabin crew jobs. All other airlines including Air India, Jet Airways and SpiceJet have mixed cabin crew. Vistara has started the process of hiring male cabin crew which is expected to be completed by March. "We plan to deploy them into flying from April onwards," the official said. "It (hiring of male cabin crew) is also good timing from a service delivery perspective as we gear up to start our international operations soon," the official said. The Delhi-headquartered airline has expanded its network to 21 destinations since its launch in January 2015, with over 660 flights a week operated by a fleet of 17 Airbus A320 aircraft, including four A320 Neos. 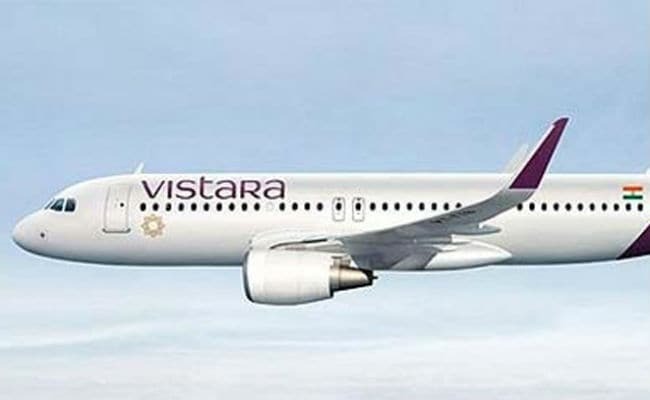 Vistara, whose 51 per cent stake is owned by Tata Sons and the rest by Singapore Airlines, is expected to launch its international services in the second half of next year. The airline has already reportedly advanced the delivery of its 20th aircraft, which will qualify it for launching overseas services, to March from June 2018.